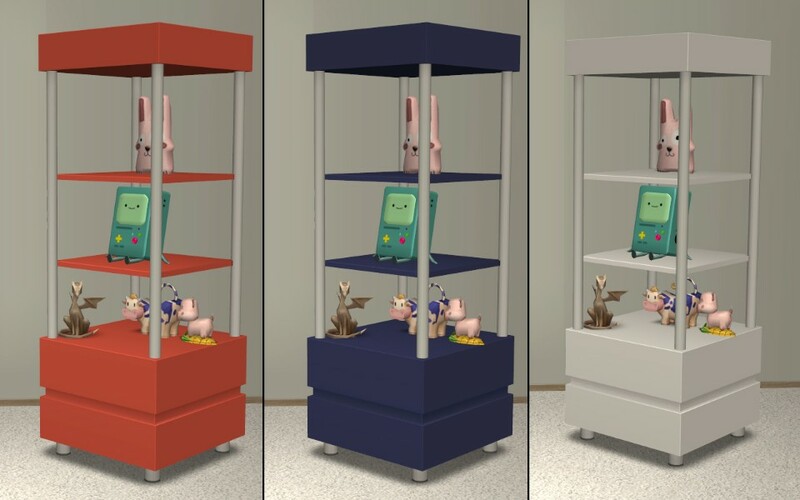 A nice display shelf from TS3 to use in OFB business'. This is cloned from an OFB shelf, so requires OFB. The top/bottom shelves use some magisplay/auto-slot magic that all the display shelves use. Thanks so much for the link to the info abut BMO @CatherineTCJD I never heard of BMO before, but now I know a lot about BMO lol. So someone made a BMO deco item?